The Christmas lights shine so bright deep in the heart of Texas! 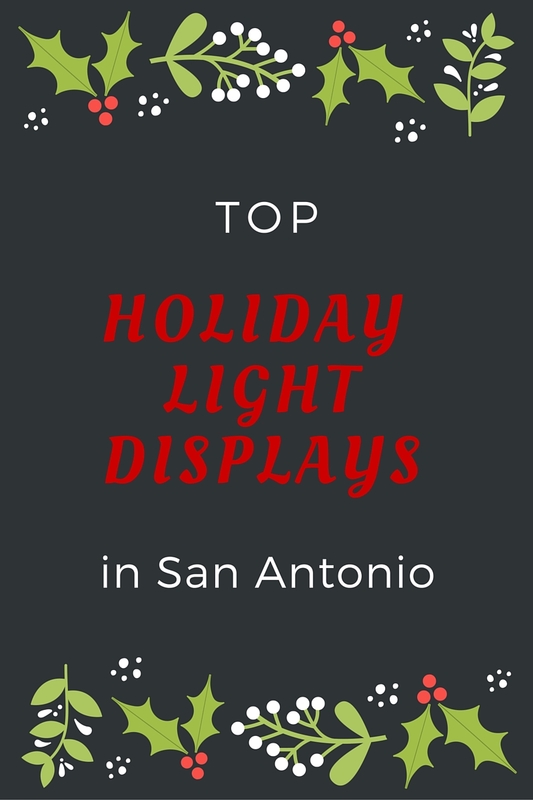 ‘Tis the time that Christmas decor and music fill the hearts and soul of our community, and one of the best ways to celebrate the season in San Antonio is by taking a trip to see the amazing light displays around town. 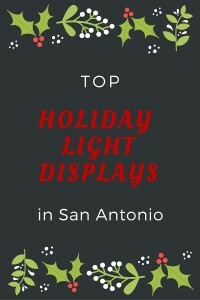 Probably the most popular holiday event in San Antonio, the river parade & lighting ceremony transforms our world-famous tourist spot into a river pathway of lights and Christmas spirit. Each year, millions of lights illuminate our riverwalk for the country’s only holiday nighttime river parade. Decorated floats will make their way down the river carrying musical acts, celebrities, and other holiday guests! When: Friday, November 27 at 7 p.m. Since 1986, the University of Incarnate Word has hosted their annual Light the Way event for students, faculty and families in our community to enjoy together. The evening will be filled with mariachis, holiday music, candlelight procession and the official flipping of the switch to illuminate the university campus with millions of holiday lights! This event is free and open to all. When: Saturday, November 21 7:30 p.m.
From November 21st through December 31st, SeaWorld San Antonio is turned int a wintery wonderland with millions of twinkling Christmas lights lining each corner of the park. Plus, enjoy fantastic holiday performances and holiday markets while you’re at the park. View the Christmas lights from the comfort of your own vehicle when you visit the North Pole at Elf Acres drive-thru light show. As you drive, watch the lights dance along to classic Christmas songs like “Frosty the Snowman” and “Rudolph the Red-Nosed Reindeer.” Lights, lasers, and animated displays cover a full 21-acres!